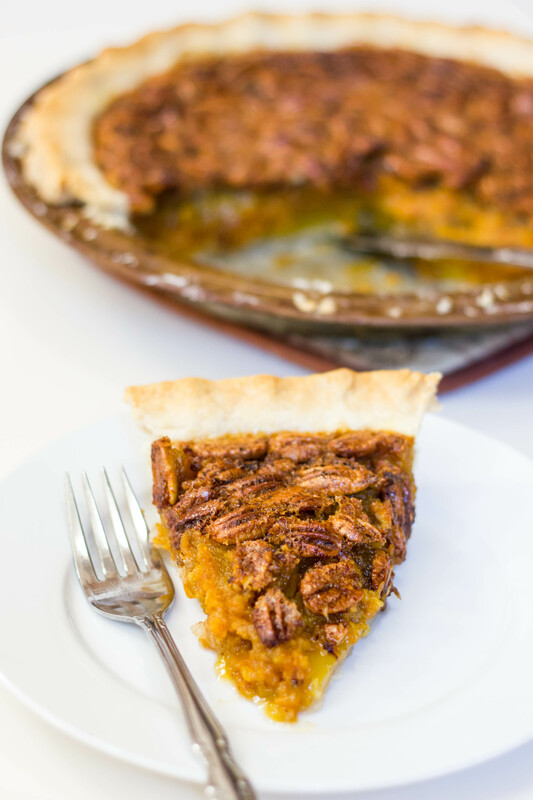 This pie is the perfect cross between pecan pie and pumpkin pie. On the bottom you have a delicious pumpkin layer and on top a gooey pecan layer. It’s a match made in heaven =). 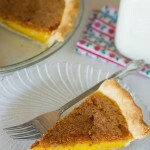 I’m not a big pumpkin pie fan, but as I mentioned before, it’s growing on me. 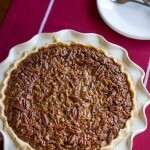 Pecan pie, however, has always been one of my favorites. I’m a sucker for that super sweet, ooey-gooey filling…yum! Am I the only one that likes to try some of all of the desserts on holidays?? The desserts are my favorite part, but when you have 5 or 6 (or more!) different desserts, even a bite or two of each one can really add up! 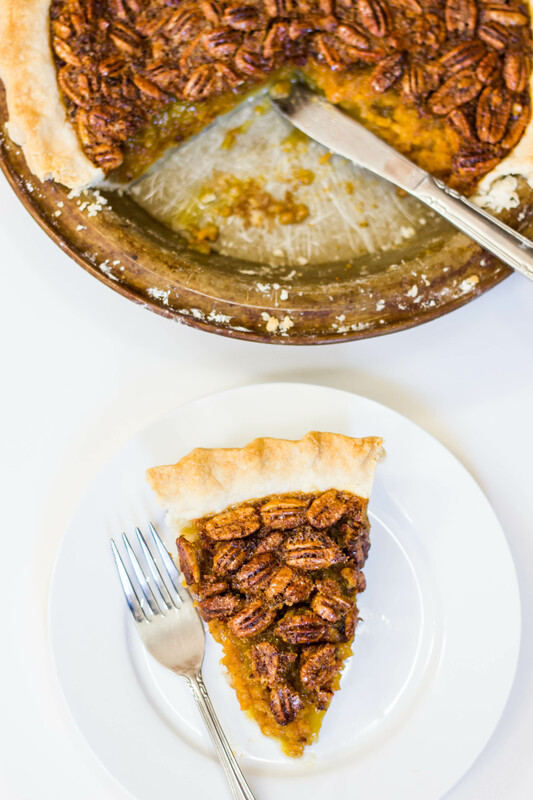 This pie can take the place of two pies, leaving more room for tasting other desserts and preventing you from stuffing yourself….in theory, of course ;). It’s delicious warm or at room temperature, but it slices much prettier if you can wait for it to cool enough so that it’s properly set….obviously I couldn’t! Good luck with that ;). Enjoy! 2. For the pumpkin layer: combine pumpkin, sugar, egg, and pumpkin pie spice in medium bowl. Whisk to combine. 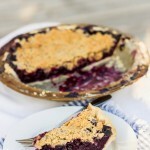 Spread over bottom of pie shell. 3. 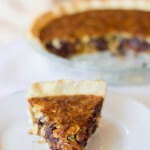 For the pecan layer: combine corn syrup, sugar, eggs, butter and vanilla extract in same bowl; stir in nuts. Spoon over pumpkin layer. 4. Bake in preheated oven for 50 minutes or until center is almost set and crust is lightly browned.